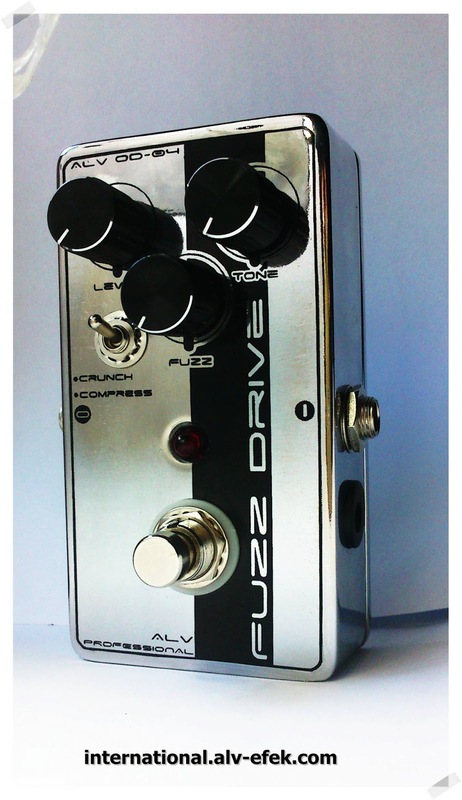 ALV FuzzDrive (ALV OD-04) is an fuzzy and crunchy overdrive pedal. It sounds classic, modern, crunchy and fuzzy. It can also be functioned as lead pedal for the solo melody or rhythm, or as a booster for other distortion pedal/amp to increase/boost the level of gain. This pedal can also functioned as a distortion or overdrive, dial the "gain control" more than 12 o'clock will produce more distortion character. 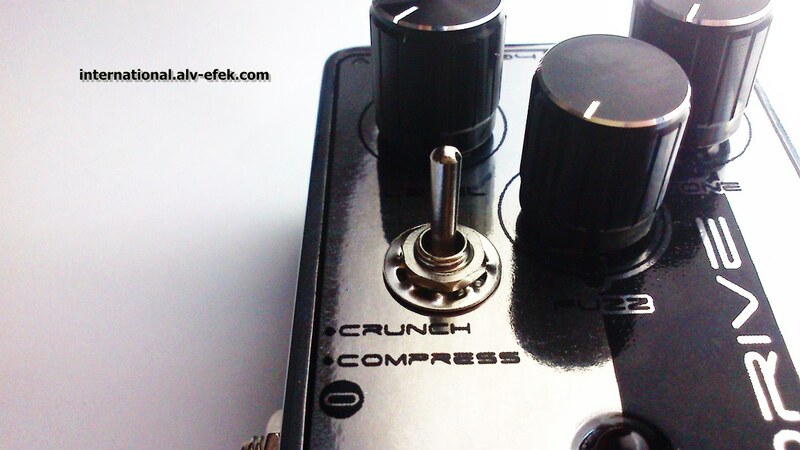 This pedal uses primary LED Clipper for produce a crunch character. 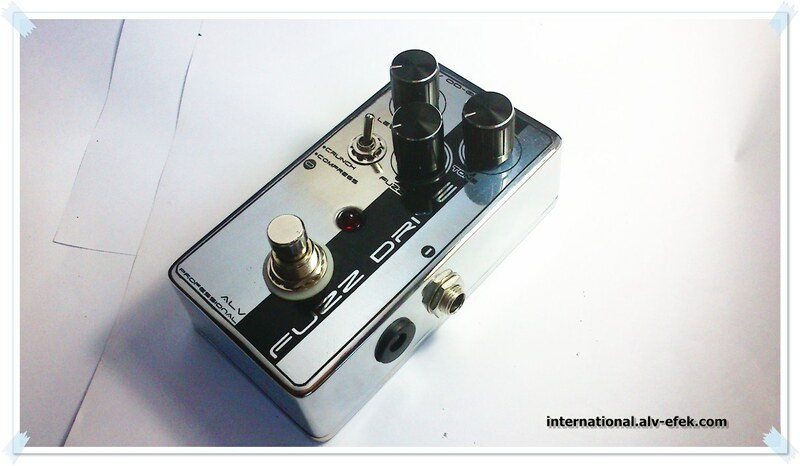 ALV FuzzDrive with special features, such as using the best electronic components, true bypass footswitch (to preserve the original sound quality of the guitar), indicator LEDs are brighter, used a strong enclousure, etc. - The Left Switch: to select sound character, crunch and compress.